Google's Android One program was brought to the emerging market, so that the user had the experience of stock Android in affordable prices. However, after the start of Karbonn, Micromax and Spice, no other company is affiliated with this program. Google again tried to revive the Android One program in 2017. 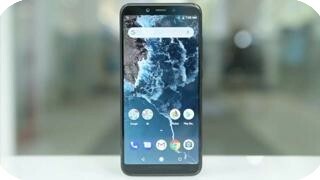 Then in the last year, Xiaomi Mi A1 (Review) was brought to India. 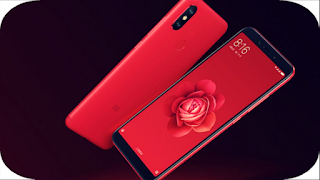 Shaomi Mi A2 is the best design smartphone. It comes with metal unibody and gives a feeling of premium in hands. The first major change is seen in the display compared to the Shaomi Mi A1. The handset has a 5.99-inch 18: 9 aspect ratios display. For this reason the phone appears to be long and thin. The edges are curved and for this reason there is a good grip in the hands. The black variant of the review comes with matte finish. Fingerprints do not fall on this easily. But the phone slips easily in hands and we suggest to our readers the use of the cover given in the retail box. Power and volume buttons are on the right side Their response is excellent. We found that the position of the power button is good, but the volume buttons are slightly above our preferences. Xiaomi has given the selfie camera, earpiece, selfie light and notification light above the display. The part below the display is empty. One color notification LED is given in the smartphone. Xiaomi has dual camera setup on the back side, in vertical position. On the back side there is a 12-megapixel primary camera, a 20-megapixel secondary lens and a LED flash. The camera is the bulge. Because of this, the phone remains on the flat surface. Fingerprint sensor has got place next to the camera module. Xiaomi has given a 3000 mAh battery in the A2. The Chinese smartphone maker has used the Qualcomm Snapdragon 660 processor in Mi A2. Adreno 512 GPU is integrated with it. 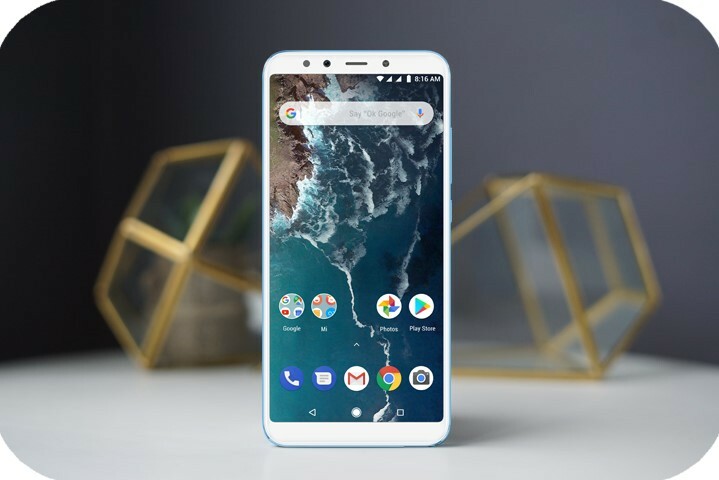 Xiaomi Mi A2 offers 4 GB RAM and 64 GB of storage. Regrettably, the MicroSD card is not a slot, i.e. you have to compromise with the phone's storage only. This dual sim smartphone has space for two nano SIM slots. Both have support for 4G and VOLTE on SIM. 5.99 inch display is full-HD + resolution. Its pixel density is 403 pixels per inch. Corning Gorilla Glass 5 has been used for protection. Viewing angles are fine, but the display is not very bright. You will not be able to control the output too. Ambient Display feature activates the phone when it comes to notification feature. The battery capacity of the phone is 3000 mAh, which is smaller than the rest of the phone in this price segment. For example, Xiaomi Redmi Note 5 (review) comes with a large battery of 4000 mAh. Shaomi Mi A2 has Qualcomm's Quick Charge 4+ support. But you will get a 10-watt standard charger in the retail box. Shaomi Mi A2's connectivity features include Bluetooth 5.0, Dual-Band Wi-Fi 802.11 AC, GPS, A-GPS, GLONASS and Baidu. If you want pure Android then I would love the A2 software experience. There is an app drawer in it. You can see all installed apps by swiping up. You can get Google Feed by swiping right on the home screen. Google Assistant can be activated by pressing the Home button for a long time. We found that there is no app available to use the IR ammeter in the phone. This means that the handset can not be used as an out-of-box remote control. You can do this by downloading the Remote app from the Play Store. Shaomi told Gadgets 360 that he will bring the update, after which I will have the remote app already installed in this phone. 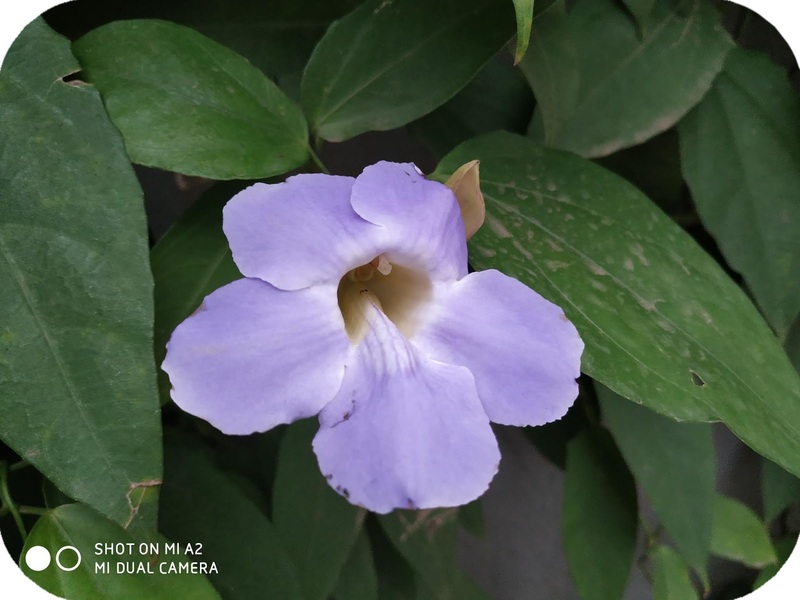 The camera app can be activated when pressing the power button twice in Mi A2. In our HD Video Loop Test, the phone of Shyomi's phone has been given 8 hours 13 minutes, which is less than the average. In our review, Xiaomi Redmi Note 5 Pro and Redmi Note 5 gave up to 16 hours, although they come with big batteries. Active Whatsapp and Gmail account, nearly hours of gaming, some time on Instagram and some phone calls, battery saver mode became active after about 7 hours and 30 minutes. If your user behavior is similar then do not forget to keep the charger together. The charger provided with the retail box takes around 2 hours to fully charge the handset. In this case, we suggest that you use the charger coming with Qualcomm Quick Charging support. Selfies also come with the details. Sharp came in the pictures in Indoor. SELF FILLING lights prove to be extremely effective in low light conditions. HDR Selfie is also available for the camera and if it is needed, it gets activated automatically. You can decide the level of bufferation according to you. In Xiaomi Mi A2 you will be able to record 4K video from primary camera and up to 1080 pixels from self camera. You will have the option of shooting a video of 1080 pixel resolution at a rate of 60 frames per second with a primary camera. But we found that the camera was struggling to lock the focus in a much more fram-rate. Video stabilization is available for rear camera. For the stock Android experience in the budget range, Xiaomi Mi A1 (review) is always the first choice. However, the situation has changed. Especially after bringing Nokia Android One phones through HMD Global. In such a situation, Xiaomi will have to take special care of the price and the company has done something similar with the new launch.